Cord blood is the richest and least invasive source of stem cells from the human body. The stem cells found in your baby’s umbilical cord blood can be used to treat over 80 illnesses. 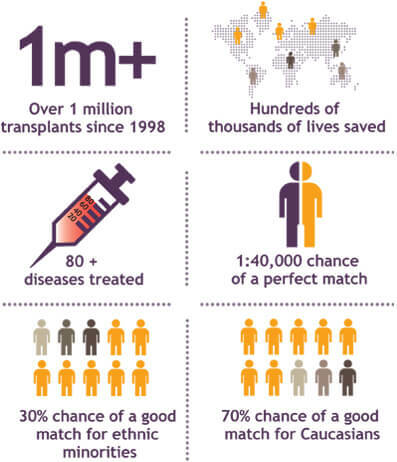 While stem cells are the focus of many researchers and clinical trials, the main focus tends to be on using these stem cells in regenerative and transplant medicine. 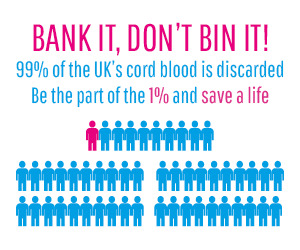 Cord blood is collected after the birth of the baby and, crucially, after the cord has been cut. The cord blood which is collected for storage is always the excess blood which would be discarded with the placenta and umbilical cord. Storing your baby’s umbilical cord blood is a once in a lifetime opportunity. The human body is made up of trillions of cells yet each and every cell in the body can trace it’s “family tree” back to one cell; the cell which was created at conception. This cell is a stem cell and it is responsible for ensuring the baby grows, as the cells divide further into pregnancy the cells become more and more specialised creating different kinds of stem cell. HSCs are Haematopoietic Stem Cells. 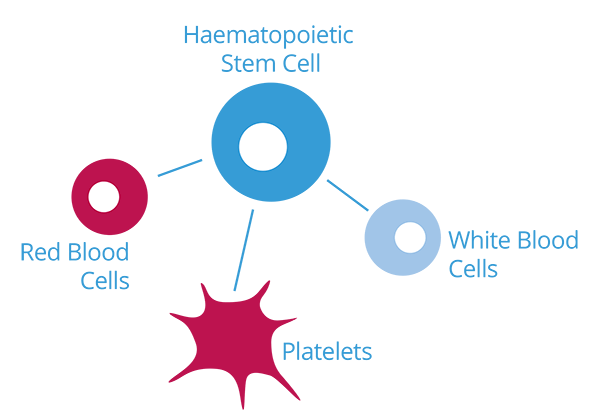 These special stem cells can make any kind of blood cell; red blood cells, white blood cells and plasma. 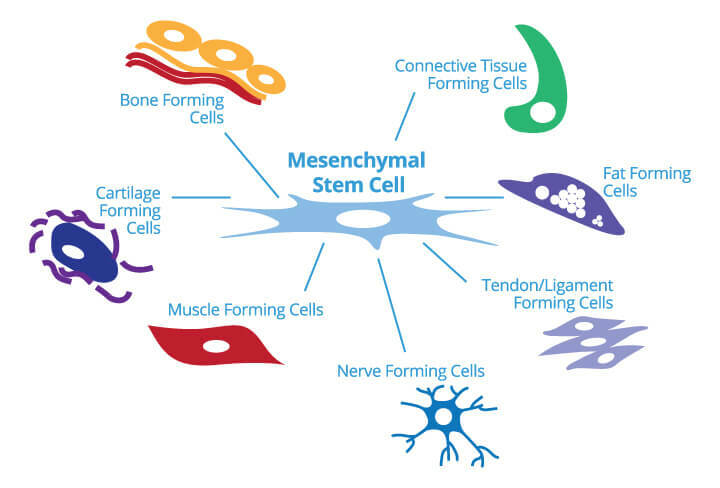 MSCs are Mesenchymal Stem Cells. These cells produce tissue forming cells such as; bone forming cells, cartilage forming cells, connective tissue forming cells, fat forming cells, muscle forming cells, nerve forming cells and tendon/ligament forming cells. VSELs are Very Small Embryonic Like stem cells. VSELs are special because they retain many of the characteristics of embryonic stem cells. The wonderful thing about stem cells is that they can reproduce themselves but there are times when our bodies simply need a boost to make the necessary repairs. The stem cells found in cord blood, while described as adult, are young stem cells and have not been exposed to the things which our bodies have had so they are much more robust. Cord tissue is the tissue of the umbilical cord and it is also rich in stem cells but is not nearly as rich as cord blood. The cord tissue is taken from the part of the umbilical cord which would otherwise be discarded, after the birth of the baby. There are mesenchymal stem cells found in cord tissue but there are also other cells found in cord tissue, Vascular Endothelial and Perivascular Cells, which may be of future therapeutic benefit. The MSCs and other cells found in cord tissue can enhance the cell sample size in the cord blood sample. Storing cord tissue with cord blood maximises the amount of cells within the sample and additionally offers a larger volume of cells available for future treatments. When storing a piece of the umbilical cord with a cord blood sample offers the most comprehensive treatment potential due to the optimised cell sample.